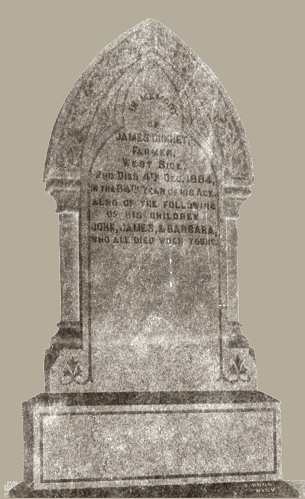 vital records sources: James' birth and marriage information come from parish registers of Dunnet. They also record his baptism on 13 September 1801. His death is in the civil registration records for Dunnet and is recorded on a gravestone, probably in the kirkyard at Dunnet. The photograph above was found in the Sinclair/Dunnet family home in Rockville Centre, NY.